It is said that Mother Nature has her favorites and Valdez is near the top of the list. Even the drive into Valdez is spectacular. 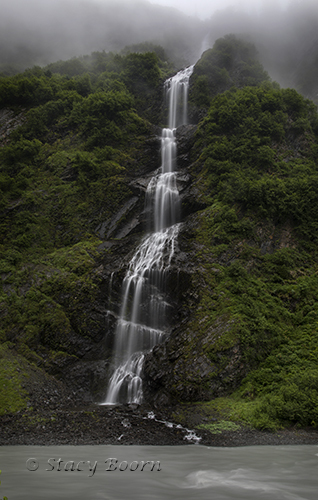 Proclaimed as one of “America’s Most Scenic Roads” and known to Alaskans as the “Adventure Corridor,” the drive provides breathtaking views of incredible scenery – glaciers, waterfalls, and towering mountains. 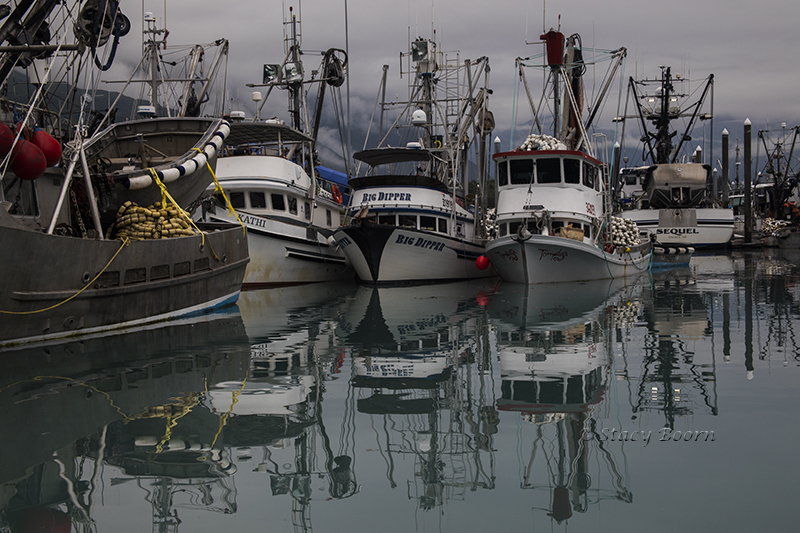 Once in Valdez, however, the views of the majestic awe and wonder surrounding the bay are not guaranteed, for they are often lost in heavy fog. 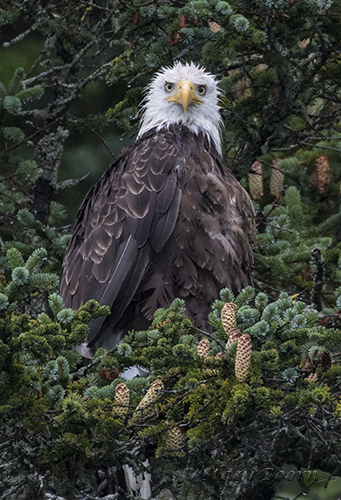 Wildlife is abundant in Valdez and the surrounding area. Both black and brown bears live here and are frequently seen wandering about or eating their fill of fish and berries. Eagles, terns, kittiwakes, ptarmigan, puffins and many other birds are easy to spot as well. The Prince William Sound, the large ocean inlet adjoining Valdez, is a never-ending display of wildlife and natural beauty. 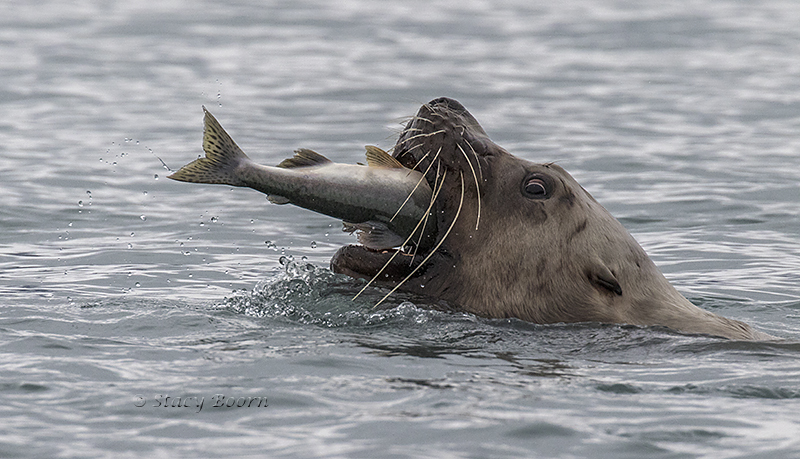 Seals, stellar sea lions and sea otters are commonly seen playing and swimming in the cold water. Dall porpoise, humpback and orca whales can also be spotted. My favorite way to cut through the fog (and ice) of Prince William Sound is via the Lulu Belle. Captain Fred Rodolf gently guides his boat along the coastline and into the open ocean waters to get to the terminus of the mighty Columbia Glacier some forty miles out of port. Captain Fred has been at the helm of the Lulu Belle making this journey every day from May through September for nearly 40 years, so his observations and skilled sailing give his passengers optimum wildlife and glacier viewing. The Lulu Belle is in a class by itself. She sports a plush atmosphere, including teak and mahogany paneling and oriental rugs. 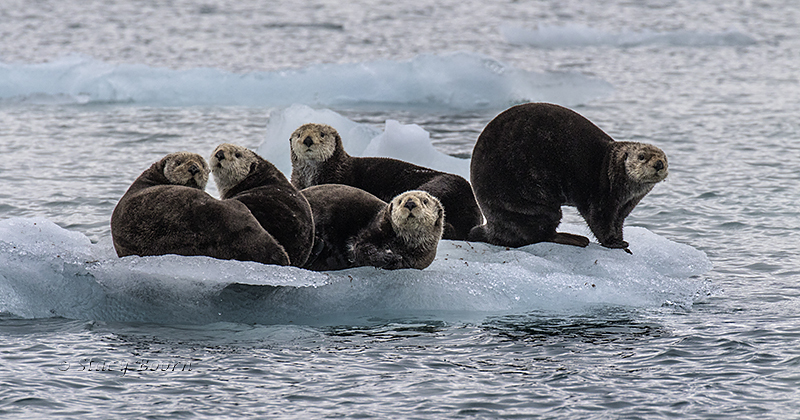 The warmth of the cabin and the crew make this the “Limousine of Prince William Sound.” The sea otters relaxing on ice bergs seem to be waiting specifically to welcome the Lulu Belle to their part of Mother Nature’s chilly paradise. The Columbia Glacier, the second largest tide water glacier in North America, descends from an ice field 10,000 feet above sea level, down the flanks of the Chugach Mountains and into a narrow inlet that leads into Prince William Sound. It is one of the most rapidly changing glaciers in the world. My aerial views, with VS Helicopter pilot Sara, were incredible, but the retreating wall and rivers of ice were notably changed since my last flyover just four years ago. When our helicopter landed on the shore by the Columbia, there were many chunks of ice and small icebergs – some clear ice, blue ice and milky white ice with black stripes from the terrain that the glacier scraped as it moved. 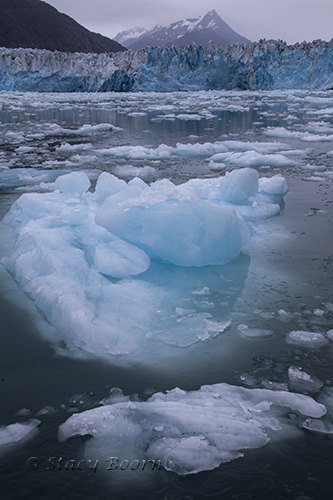 I licked 7 small icebergs, tasting the hundreds or thousands of years captured within. A bit salty. When British explorers first surveyed the glacier in 1794, its nose – or terminus, extended south to the northern edge of Heather Island, a small island near the mouth of Columbia Bay. 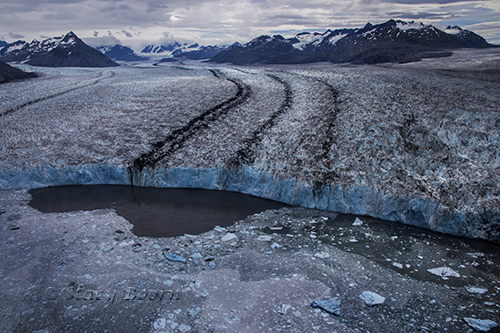 The glacier held that position until 1980, when it began a rapid retreat that continues today. Over the past three decades, the terminus has retreated more than 12 miles to the north. Scientific studies have determined that climate change isn’t the only cause of this melting glacier but has forced it to accelerate. For undetermined reasons, computer-generated calculations are predicting that the Columbia will stop retreating in 2020, but, by then, it will be radically different than it is today. Sometimes we have a hard time seeing through the personal fog that clouds our vision – our fears, insecurities, misunderstandings, learned behaviors. But, like Valdez, there will be thin places that open up windows into the beauty and blessings both in ourselves and others. Surprisingly enough, there will also be days of sunshine when every mountain peak is visible. We can take advantage of these moments to celebrate and move forward in hope, knowing that each of us is one of Mother Nature’s favorites! This entry was posted in Weekly 2 and tagged Bridal Veil Falls Alaska, Columbia Glacier, Fred Rodolf, icebergs, Lulu Belle, Pink Salmon, Prince William Sound, Sea otters, Stacy Boorn, Stellar Sea Lion, Valdez. Bookmark the permalink.